Jaguar has introduced an exciting new premium wagon, the 2018 Jaguar XF Sportbrake. Jaguar Colorado Springs has one of these beautiful, new luxury cars in our inventory! An exquisite combination of dynamic design, user-friendly features and advanced technologies make this the perfect vehicle for Jaguar enthusiasts with an active lifestyle. Powered by an efficient supercharged 24V 3.0L V6 engine, this new four-door wagon delivers an estimated 18 MPG in the city and 25 MPG on the highway. Great gas mileage with plenty of room for the whole family! Enjoy premium luxury features including 20-inch gloss dark grey 5-spoke alloy wheels, heated front and rear seats, superior handling in adverse weather conditions with all-wheel drive, convenient Heads-Up display, first and second row sunroof with powered sunshade, customizable gesture-controlled tailgate, and many more! 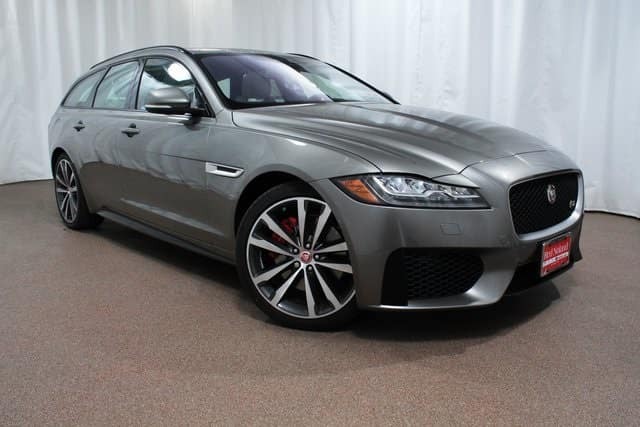 Stop in to Jaguar Colorado Springs to see this luxurious new 2018 Jaguar XF Sportbrake premium wagon. Our helpful finance department will guide you through the process to secure financing on this exciting new Jaguar today!